In 1998, the fall of the Berlin fall drove the final nail through the vast socialist Soviet empire. Socialist countries such as Venezuela, North Korea, and Cuba aren’t even hanging on by a thread any longer. And the socialist giant, China, has developed a market economy. Around the world, socialist countries have fallen like dominos. So why has socialism become the new political chic? Popular senator and former presidential candidate Bernie Sanders and his millennial admirers have become vocal proponents of a political system that has historically been an absolute failure. Stalin, Mao, and all others were mere poseurs who didn’t understand the real tenets of socialism. Many of today’s millennials look forward to the delivery of these idyllic promises. They may be waiting a very long time. The problem with socialism is not that it’s been misunderstood. It has been understood all too well. It was the Soviet Union who first initiated the economic principles proposed by Karl Marx. The idea was that state ownership of the means of production would alleviate the so-called unfairness of an exploitative market economy and provide equally for everyone. This equitable distribution of wealth would be guaranteed by a dictatorship of the proletariat. To finance this economic idyll, socialism would use the surpluses available under still-existing capitalist regimes. That was Marx’s plan. No one asked why it was only capitalist countries that had this marvelous surplus and why it would take a dictatorship to assure its benevolent and equitable distribution. Following Lenin, Stalin had the state-planned scientific system of socialism in working order. The Politburo was handing down quotas to the country’s farms, factories, and plants, demanding that the production quotas be filled. Many individuals fell for the myth of socialism, which became increasingly popular during the 1930s. The first reality checks were conducted by two Austrian economists, F. A. Hayek and Ludwig von Mises. They rightly pointed out that the complexities of a modern economy and the variables of market forces could not be planned and predicted by a group of appointed technocrats. Hayek and von Mises were proven correct as, throughout the 1940s and 1950s, the Soviet Union encountered failure after failure. 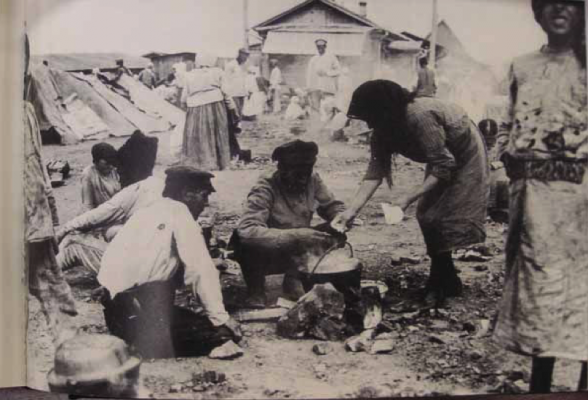 By then, Russian’s inability to feed its own citizens resulted in unprecedented famine. Over 1 million people starved to death. By this time, the Politburo became more removed from the specifics of production. Plans were changed and re-changed. Production was no longer the goal. Following some predesigned plan was all that mattered. To meet their quota, shoe manufacturers were designing shoes in one size and one color. Normal supply and demand no longer fit into the socialist equation. The planners no longer pretended to be able to please everyone – or even anyone. They simply took the previous year’s failed plan, made some minor adjustments, and delivered it as the new and improved current year’s plan. New ideas or innovations became a detriment to the goal of central planning. No company had to worry about losses or bankruptcy because the central planners at the Politburo were there to bail them out. The primary responsibility of the Soviet Union’s central bank at the time, was to bail out failed companies. Failure, not success, was built into the Soviet Union’s annual production plans. The failure of the Soviet Union is that socialism has its roots in failure. It is designed to fail. The great Soviet experiment turned into the Big Lie. It promised prosperity and delivered misery. It guaranteed a livelihood and oversaw the famine death of millions. 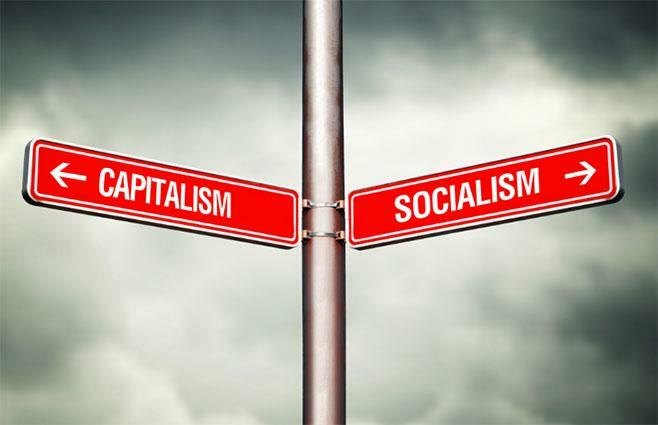 The only promise socialism has kept is that it has brought about equality – an equal amount of despair to all who encounter it. Except, of course, the “dictators” in charge of planning. Somehow, they remained unaffected by the concept of equality. The very essence of capitalism is creation and initiative. The market provides incentives for companies and individuals to embrace both. The market determines prices and products. Losses must be accounted for, and private property must be respected. Under socialism, incentives for success, if they exist at all, take a back seat to adherence to a preset plan. There are no incentives to work to make the plan a success. Losses do not matter, and private property does not exist. It does provide the security of equality as it does away with personal freedom. That’s the temptation of socialism, even though it has proven to be a failure throughout its history. Those advocating socialism hope to share in the riches of those above them. What they invariably forget are the masses below them eagerly grasping at their own meager share of the pie. If the world is to experience another renaissance, it will come through capitalism. For those who forget the basic flaws inherent in socialism, Venezuela provides a graphic reminder. It was once the fourth-wealthiest country in the world. Now, people are starving to death due to lack of food. It still has one of the world’s largest oil reserves, but it lacks toilet paper. Venezuela’s socialist experiment began in 1999 with then-president Chavez, who nationalized industries and overspent on social programs. Chavez and his successor Maduro racked up unprecedented national debts it probably will never be able to repay. The country is being flung into a downward spiral of hyperinflation and out-of-control debt. The people suffer misery equally, while President Maduro and his fellow autocrats enjoy the remaining spoils. What will happen to the autocrats when everything has been looted and there is nothing left? Maduro no longer makes any pretenses at democratic rule as he erodes basic rights and silences opposition and the free press. Venezuela is the latest failure in socialism. Will American millennials and eager advocates of a socialist regime learn a lesson? It remains to be seen. But if they have their way, who will be left?